INTERSTELLAR is such a different yet oddly familiar film that many people are left wondering where some possible inspirations may lie. There are a lot of things I would like to talk about in my own review of this film, but first I’d like to give interested parties a crash course on some cerebral and/or emotional journeys beyond the stars. What follows is a short list of spacefaring films, listed in order of their release, that touch upon the themes explored in Christopher Nolan’s INTERSTELLAR. Some of them directly inspired Nolan when he made his sci-fi epic, whereas others are just films that share important elements. So yes, that makes the headline a bit of a lie. But hey, you’re still here, aren’t you? CONQUEST OF SPACE (1955) – This film starts out as an expose of life aboard a massive space station, only to then shift gears as it details the first manned flight to Mars. As the elite crew all do their part, the once stern general in charge begins to go insane due to the pressures of space. Becoming a religious zealot, he works to sabotage the very mission he leads, even if it means killing himself and his son in the process. 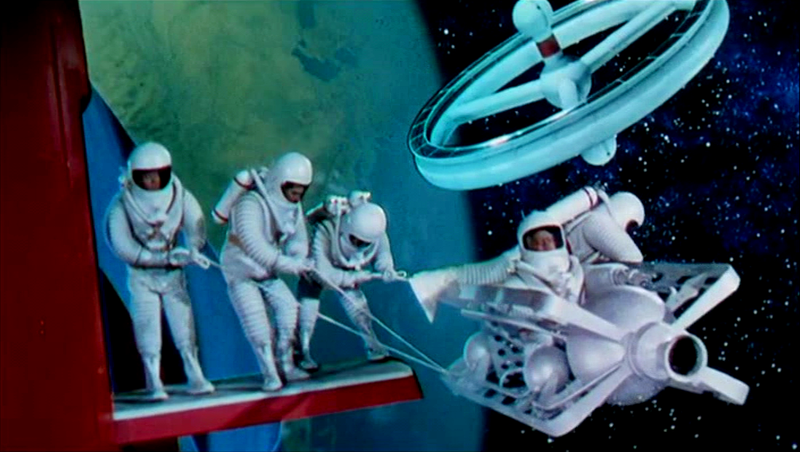 George Pal’s production was not the first film to pragmatically wonder what a future in outer space might look like. People had been imagining that since George Melies. Even in the 1950s, ROCKETSHIP X-M and Pal’s DESTINATION MOON were just two of many films that imagined our first space flight. But CONQUEST OF SPACE was undoubtedly the most ambitious project up to that date, presenting not our first trip to the stars, but our original attempts to colonize them. Life aboard the a massive space station, nicknamed “the Wheel” due to its orbit, is presented as demanding, strenuous and incredible. And then our crew moves off the station and into the more demanding and uncertain expedition ahead. The film is very dated, particularly when it aims for comic relief (Ever notice how many of these flicks featured some guy from Brooklyn who seemed like he couldn’t even operate a toaster?). Still, it was not only visionary but pretty prescient as some of these interstellar structures became a reality. ROBINSON CRUSOE ON MARS (1964) – Like CONQUEST OF SPACE, this cult classic also concerns the first human inhabitants of Mars. Forced to crash land on the red planet, Col. Draper spends much of the film alone and battling for survival. It is only later that he discovers other people on the planet. And they aren’t all friendly. The question of people making a hardscrabble existence on in inhospitable world is something that is talked about more than it is actually shown in INTERSTELLAR. Nevertheless, it hangs in the air like a spectre over every decision the characters make. ROBINSON CRUSOE ON MARS features an astronaut trying to survive on a world where everything seems to want to kill him. Forget the desert island analogy, our astronaut here has to deal with not just finding food, but basic oxygen, all while avoiding the lethal temperatures, treacherous landscape and punishing weather. The advertisements at the time boasted that the film was “scientifically accurate.” This is sort of true as the writers did spend a significant amount of time researching what little we knew about what life on Mars might entail. However, ROBINSON CRUSOE ON MARS is essentially a pulp adventure, so you never feel as though you’re sitting through a lecture. 2001: A SPACE ODYSSEY (1968) – Since the Dawn of Man, humanity has developed slowly, with the exception of sudden evolutionary bursts. And whenever these bursts took place, the Monoliths were there. The first monolith we see is in prehistoric times and precedes the moment when we learn to use tools. The second monolith is uncovered on elaborate moon base and scientists discern that the structure was deliberately buried there several millenia before. As for the third, that lies “beyond the infinite.” A mission to Jupiter’s moons, shrouded in secrecy, will lead astronaut David Bowman (Keir Dullea) to face the mysterious structure, but only after the mission is nearly destroyed not by any alien force, but by the artificial intelligence in control. 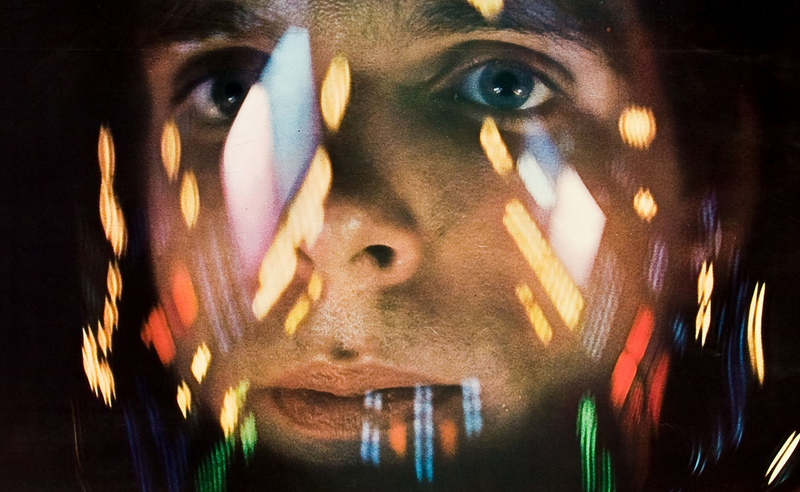 2001: A SPACE ODYSSEY is Year Zero for sophisticated science fiction. Stanley Kubrick’s film is the most obvious source being brought up in relation to INTERSTELLAR. For one thing, it’s the one smart science fiction film that everyone knows, thanks to its deserved classic status. But Nolan has also gone on the record, citing the film as a major influence. Like Kubrick before him, Nolan accurately captures the vast, silent and desolate nature of space. But perhaps no sequence recalls 2001 as much as the trips through the wormhole, particularly the transcendent trip McConaughey’s character takes midway through the film. Much like Dullea, he goes through a disorienting tunnel only to wind up in an alien yet familiar surrounding as he wonders what “they” wanted with humanity in the first place. JOURNEY TO THE FAR SIDE OF THE SUN (a.k.a. DOPPELGANGER) (1969) – This film is a cult classic. Unfortunately, it’s so cult that most of the people reading this article have likely never heard of it. 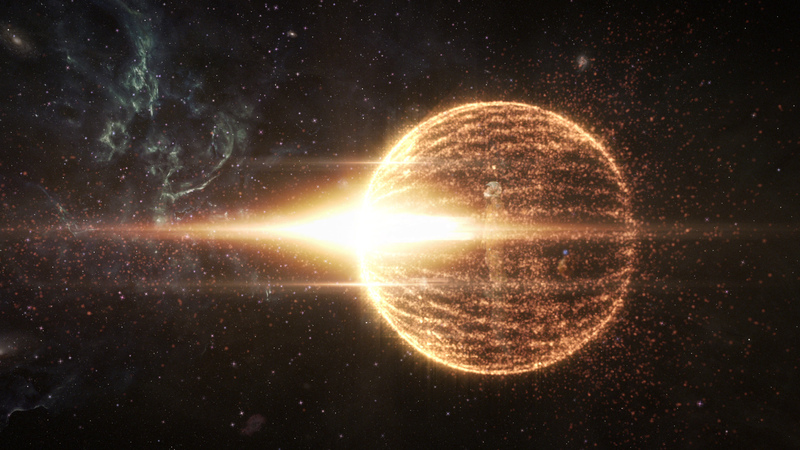 The film involves the discovery of a planet previously hidden from us in our own solar system. The planet shares the same orbit as Earth, but until now it has been hidden because it exists on the far side of the sun. In other words, it’s Earth’s doppelgänger (which is why that is the film’s title in its native UK). An expedition is sent to the planet, only for things to get decidedly weird from there and even weirder upon its return. Written by Gerry and Silvia Anderson with help from television vet Donald James, you’d be forgiven for assuming the show would have a bright and upbeat vibe like the Andersons’ THUNDERBIRDS or SPACE: 1999. Indeed, the film really moves. However, JOURNEY TO THE FAR SIDE OF THE SUN also takes a much trippier turn than anything that happened on Moonbase Alpha. While 2001 gets the bulk of credit, I would be surprised if INTERSTELLAR wasn’t inspired by this brilliant sci-fi oddity, especially when it comes to the highly metaphysical third act. Fourth, fifth and parallel dimensions are all turned on their head in this too often overlooked flick. 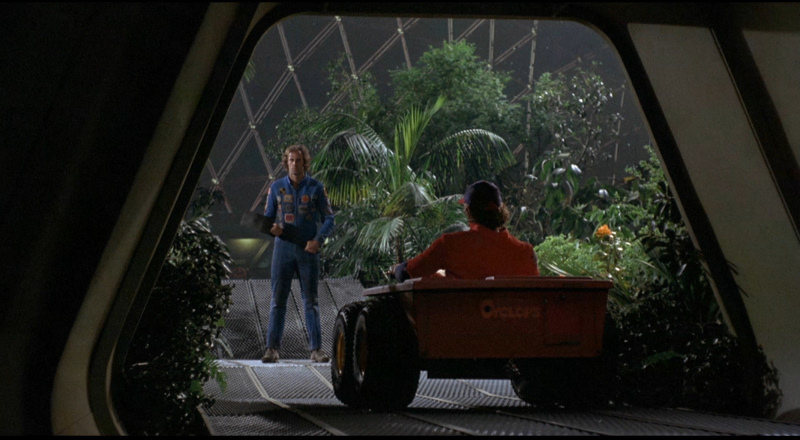 SILENT RUNNING (1972) – Douglas Trumbull’s film about life aboard a series of sparsely populated space freighters is one lonely piece of work. When humanity’s wasteful nature kills almost all plant life on Earth, a series of greenhouse domes is sent into space amidst a fleet of space freighters. Lowell (Bruce Dern) is a nomadic character, who cares for the plant and animal life. However, when Earth recants on its previous humility, they demand the remaining forests be destroyed so the fleet can be returned to pollute and profit in a capitalist system once more. Like a Lorax who’s flipped his lid, Lowell resorts to murder and sabotage to save the only life in which he has found true value. INTERSTELLAR asks whether we should be pioneers or caretakers. SILENT RUNNING argues that you could be both. Bruce Dern’s character is paradoxically one with nature, even in the vacuum of space, while his fellow crewmen are crass, worldly and apathetic to his cause. We are led to believe that this attitude is reflected by many on Earth, which is how we got in this predicament. Lowell’s commitment becomes an obsession in which his very sanity is threatened. Whether the crimes Lowell commits are justified are wisely left up for debate. Lowell has nurtured a love for nature and life, even as Earth has abandoned it. Much like INTERSTELLAR, SILENT RUNNING tells us that the salvation for Earth may lie in the stars, if we can only see beyond our own fear and arrogance. 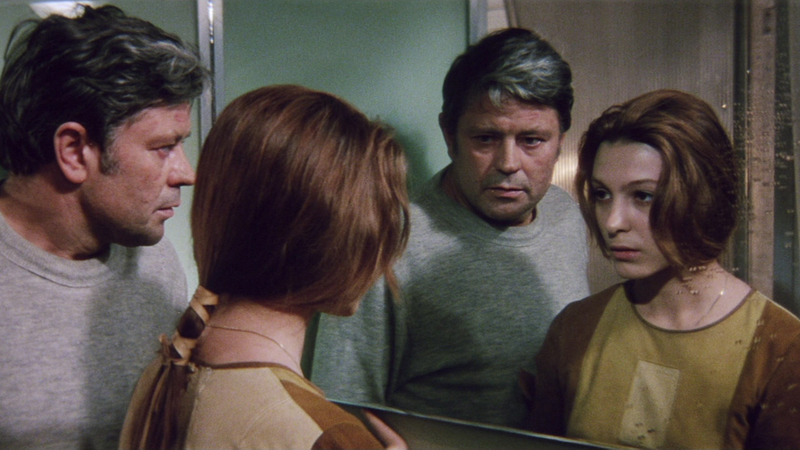 SOLARIS (1972) – While Stephen Soderbergh’s 2002 remake may have its defenders, Andrei Tarkovsky’s 1972 reaction to western sci-fi is a masterpiece all on its own. A scientific team conducting studies above the mist-covered planet of Solaris has been sending back some strange data, suggesting their mental well-being is antithetical to completing their mission. Dr. Kelvin travels to the space station (another one of those!) to evaluate the crew, only to find the influence of Solaris creates things that can’t be explained by the rational mind. Nolan may have been equally inspired by Tarkovsky’s subsequent films, THE MIRROR and STALKER. Still, when we see the demons of the past haunting the crew of the space station, many of them in physical form, it’s hard not to be reminded one of the main themes permeating throughout INTERSTELLAR. While that crew agreed to go on a mission to save the world, they become more and more haunted by the people they left behind and the things that were left unsaid. The fact that these beings offer something both alien and familiar recalls that previously mentioned weird third act of INTERSTELLAR. DARK STAR (1974) – A crew of three bored space travelers is on a decades-long mission to detonate unstable planets in order to make way for colonization. But after being in space for so long, they are running out of things to say to one another, running out of ways to pass the time and running out of excuses to continue. 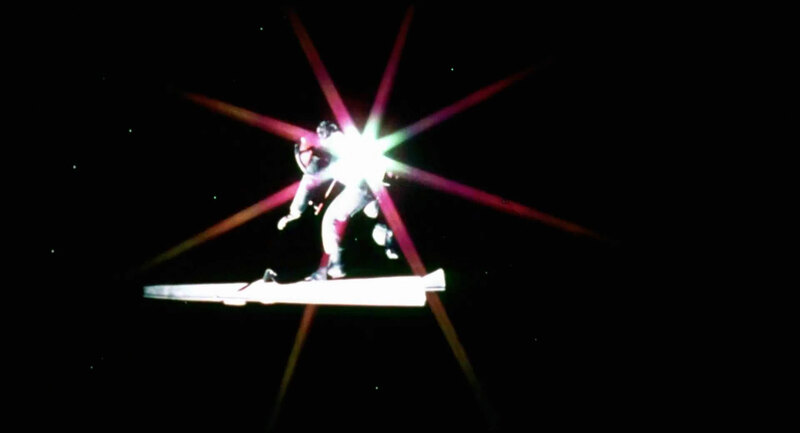 The focus of John Carpenter’s first film is not on science, but on dark comedy. 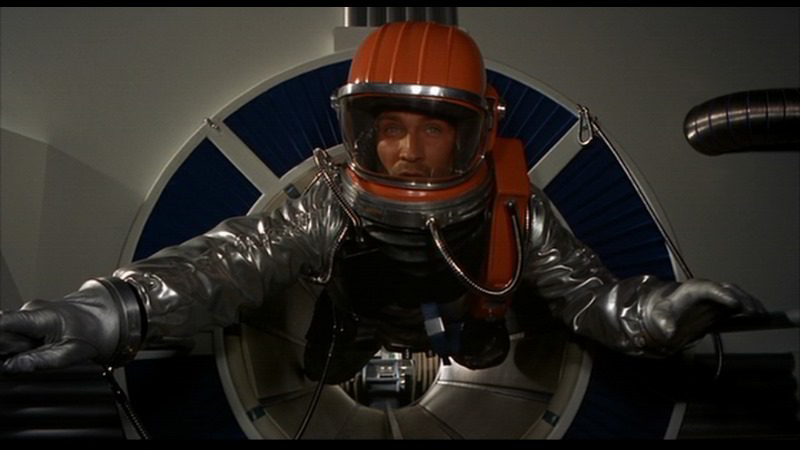 Still, DARK STAR is notable for how it details the claustrophobia and frustrations that occur when you venture into deep space for years at a time. Also notable is how the crew continues to get messages from Earth, where time continues to move faster than it does on the Dark Star. Unlike INTERSTELLAR, the communiques going in and out are delayed by several years themselves, thus increasing the isolation factor. 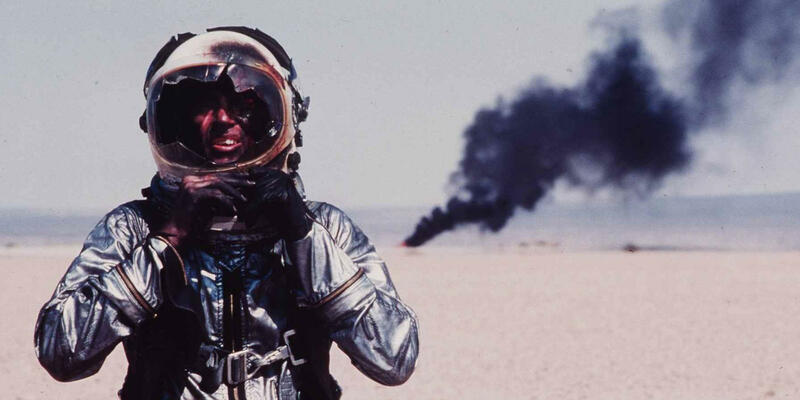 THE RIGHT STUFF (1983) and FOR ALL MANKIND (1989) – No science fiction here. This is pure fact and proof that the human race is capable of amazing things. THE RIGHT STUFF chronicles America’s part in the space race from the breaking of the sound barrier all the way to the Apollo missions. Just as Tom Wolfe presented them in his book, director Phillip Kauffman leaves no doubt that our astronauts are heroes (though sometimes deeply flawed ones), who went beyond all perceived human limitations in order to take us into the stars. Likewise, FOR ALL MANKIND is probably the best documentary ever made about space exploration. It also chronicles the Apollo missions and utilizes some amazing footage to take us all the way to the moon. These are the real life heroes that the fictitious heroes of INTERSTELLAR idolize, the same people many anti-intellectuals ignorantly label as frauds. CONTACT (1997) – There are more similarities between Robert Zemeckis’ unfairly scrutinized film and INTERSTELLAR than most people would like to admit. For one, they of course share a star in Matthew McConaughey. However good he is in INTERSTELLAR, he’s actually the weak link of CONTACT. In INTERSTELLAR, he represents the need to venture into the stars whereas in CONTACT, he is a man of faith (though a very liberal one) who is one of the space program’s detractors. In INTERSTELLAR, there is no dialogue to suggest that Earth’s anti-science, anti-exploration rhetoric is related to religious belief. However, there is a genuine fear in the motivations of the anti-science people in both films. INTERSTELLAR’s trip through a tunnel in time and space has more in common with a similar sequence in CONTACT than the oft-sighted voyage of David Bowman in 2001: A SPACE ODYSSEY. After the trip through CONTACT’s tunnel is complete, we are treated to an ending which most people criticized as being sentimental. And it is, though I would argue that this isn’t necessarily a bad thing. INTERSTELLAR also shows us the other side of the tunnel with a message that not only proves to be even more sentimental, but echoes CONTACT’s themes of psychological, emotional connections that exist beyond light years of time and space. LOVE (2011) – Okay, here’s a weird one for you. An astronaut (Gunner Wright) is the first and only person to live at the International Space Station in many years. While he’s up there, his superiors inform him that something has happened and they can’t bring him home. He loses contact with the Earth below. Over several years, he spends his days repairing the crumbling station, get the maximum amount out of his dwindling supplies and trying unsuccessfully to keep his sanity. Somewhere in the midst of all this, he finds the personal journal of a solider from the Civil War. He reads about the soldier’s musings and about the strange object that was observed. And then something happens. I stumbled across this one by accident on Netflix streaming. I had no prior knowledge of the film’s existence. I did not know of the film’s origins, which include production and support from the band Angels and Airwaves, several years of shooting and a brilliant if obsessive independent vision from director William Eubank. I’ve been trying to tell the world about this flick ever since I first stumbled across it. Within its short running time, you are taken deep within the recesses of the astronaut’s mind. The result is a film that feels positively epic despite mostly taking place in one location. LOVE is an ingenious and original vision. GRAVITY (2013) – Most of the comparisons between GRAVITY and INTERSTELLAR are simply because two big budget yet intelligent films about space exploration came out so close to one another. This is a feat Hollywood hasn’t managed in about forty years. 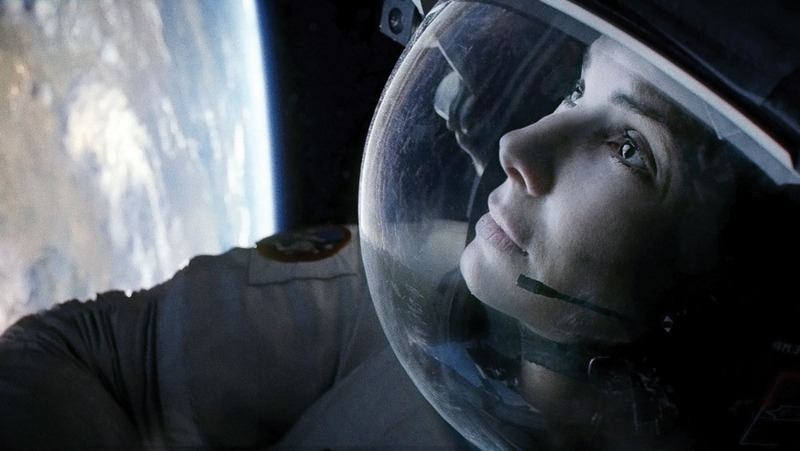 Compared to Nolan’s film, GRAVITY is quite simple (it’s certainly much shorter). Both films however involve an increasing struggle for survival even when you feel more and more alone in the blackness of space. For the most part sticking to just a couple of principals, we are taken on one woman’s slow realization that she does want to live and face another day. The special effects are fantastic and things sure look genuine. But as I’ve said elsewhere, the really amazing thing is how Sandra Bullock is able to support the film almost single-handedly. If her performance didn’t ring true, the entire film would have fallen apart like a house of cards. This wasn’t just a competent performance, it’s a brilliant one. Despite its deceptive simplicity, the themes explored are quite inspirational in a way that is easy to grasp onto without being patronizing to the audience. NOTE: The entries for LOVE and GRAVITY were taken and adapted from my original articles that appeared on Film Geek Central. One film that you forgot to mention as an influence would be Pitch Black (2000) directed and co-written by David Twohy. The most influenced aspect is not the plot, but a very memorable graphic image: the giant planet on the horizon, and the last sun still casting daylight, moving behind its rings into temporary eclipe, then into permanent eclipse. Even though I haven’t seen Interstellar, I have seen all the trailers, and at one point there is a very similar graphic, giant planet/sun with rings and all. A single graphic image may not seem like much, in the way of influence, but the look of a movie is a very significant element. And Kramer Versus Kramer (for instance) definitely did not influence Interstellar, and especially not its ‘look’/graphics/images.